Upgrading your status to a parent is one of the most beautiful experiences one can have. It is however, not an easy task. As a parent you would certainly want the best for your precious child, for their health and their temperament. We adults have safety belts in our car to protect ourselves. 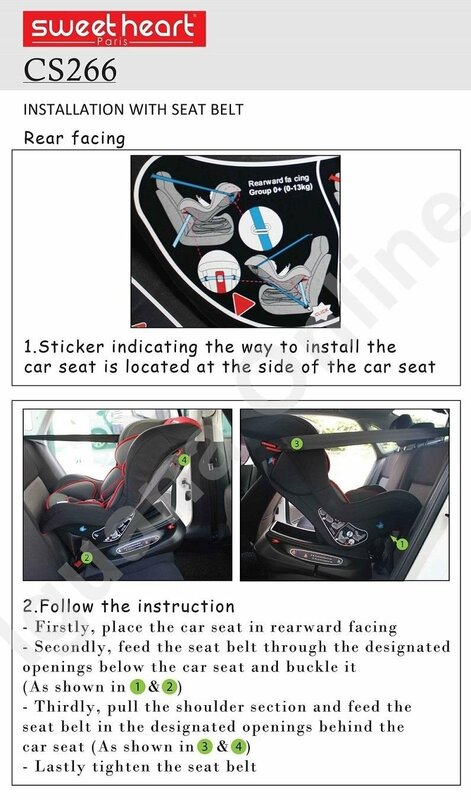 However, toddlers are often vulnerable to hazards when you let them sit on adult seats. 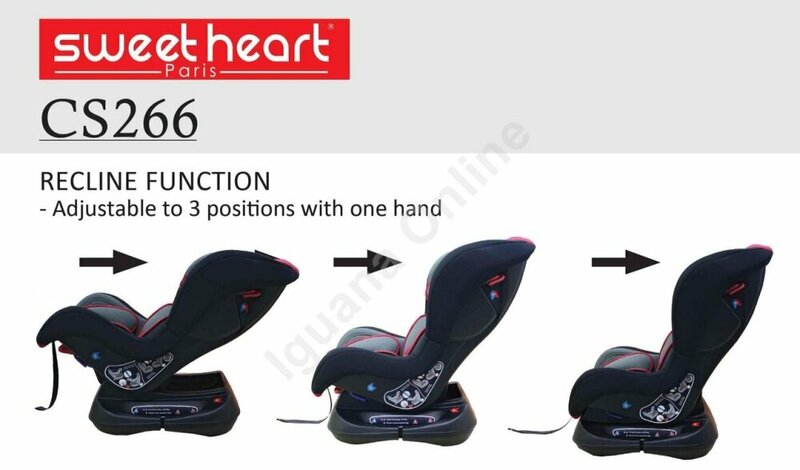 Sweet Heart Paris Car Seat CS266 is one you should consider to keep your little ones safe during a journey in the car. The seatbelt just wouldn’t safe them from accidents. This is when car seats come in handy. 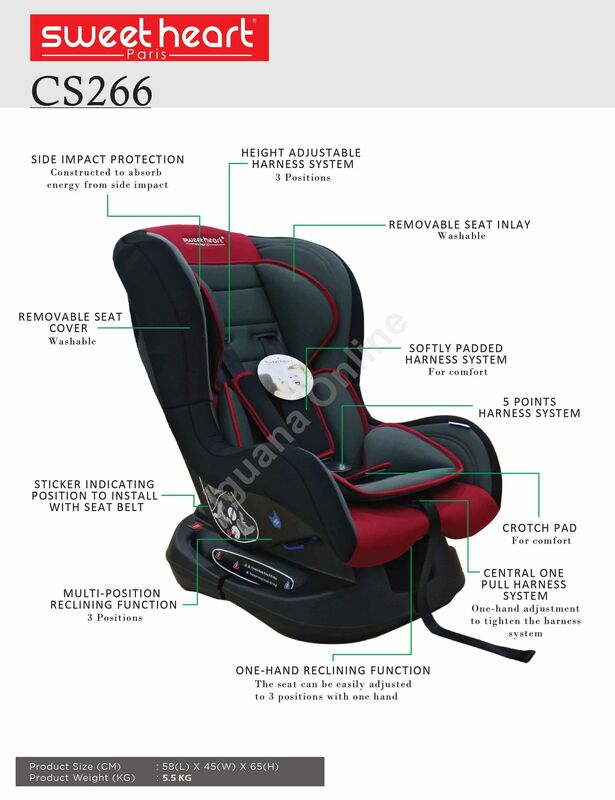 Sweet Heart Paris Car Seat CS266 is probably what you should consider buying for your little ones. 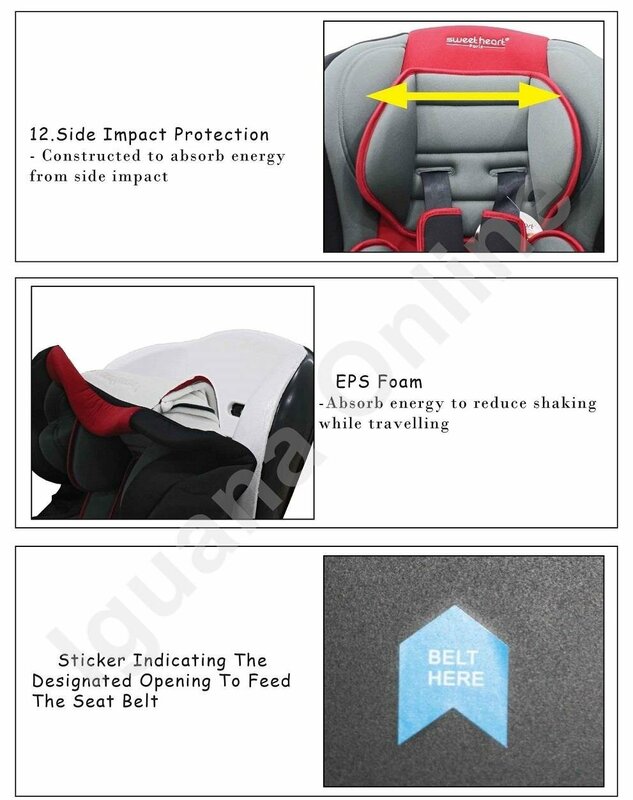 Comes with European safety standards, this car seat allows you child to be seated in a place during a journey and minimizes impact, when accidents happen. 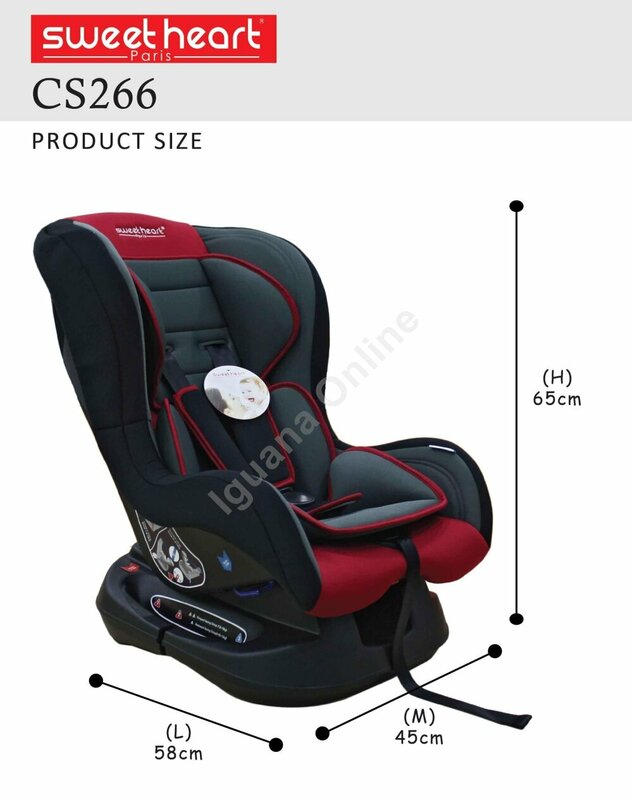 The Sweet Heart Paris Carseat CS266 is suitable for babies and toddlers of up to 18kg. 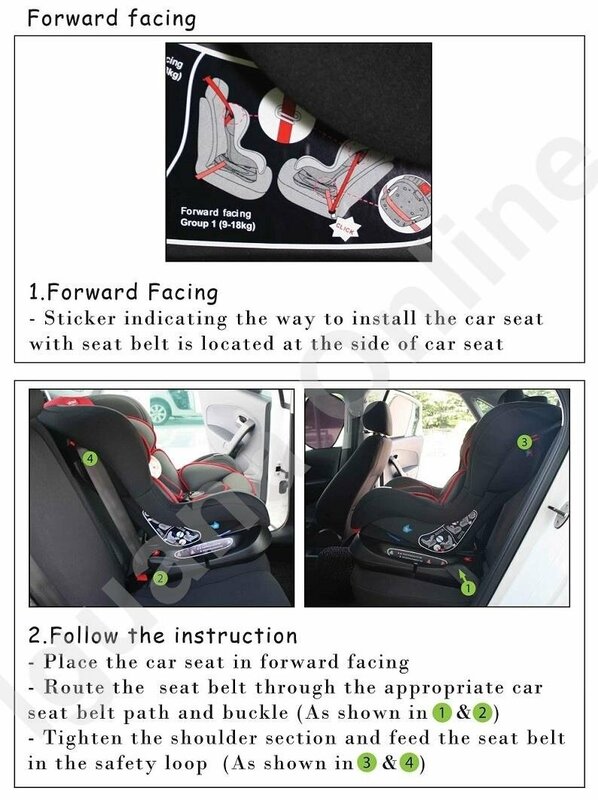 Use this seat in a rear-facing position for infants under 10kg and a forward-facing seat for toddlers between 10 to 18kg. 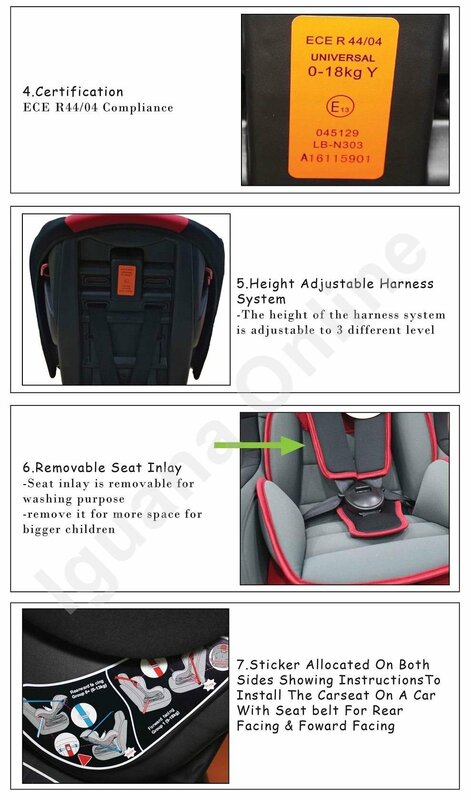 This car seat features washable seat and plus a five point safety harness. The safety harness is padded for extra comfort and effectiveness, in just one easy step, your child is fastened in and secured. 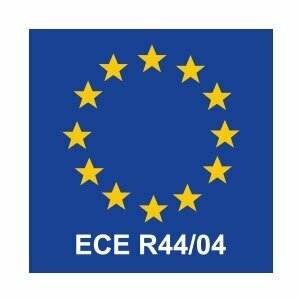 In most countries, the approval for sale of child safety seats depends on the manufactures being able to demonstrate that is has passed various safety tests.In Europe, the manufacturers of child seats must employ an accredited laboratory to demonstrate that the seat complies with the requirements of regulation 44, version 04, devised by European Economic Commission, EEC (a dependent institution of the United Nations):Regulation EEC R44/04 or ECE R44/04. In other countries such as the US, Canada and Australia there are similar regulations. -A frontal collision test at 50km/hr., to measure the movement and the forces exerted of the child's body (head, neck, chest...). -A rear-end collision test at 30km/hr. 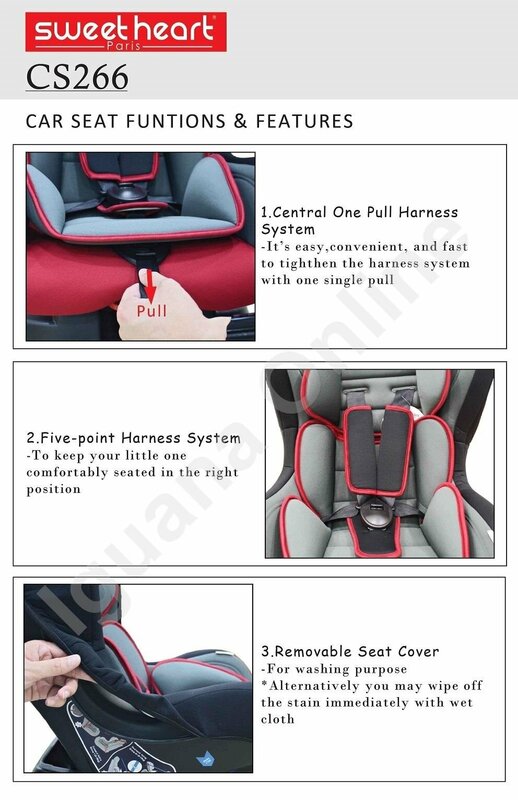 -Various tests on the harness buckle of the seat harness: to test whether it is easily opened after an accident while at the same time ensuring that under normal conditions is is not easily opened by a child. -An analysis of the design of the seat to guarantee there are no sharp edges or rigid parts that are not padded. 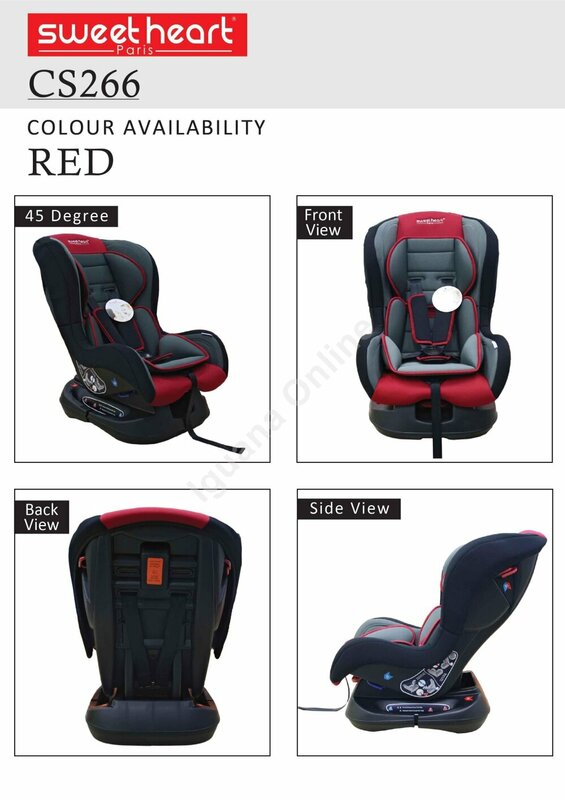 -A study of the seat straps or harness, to check that it can be easily and safely adjusted to the body of children of varying weight and height.